The recent discovery of a mass grave in Maluku, more than 100km from the Democratic Republic of the Congo’s capital Kinshasa is of growing concern, not only to national, but international authorities and agencies also. The Congolese authorities confirm burying 424 people on the night of March 19th, but it would be according to them ‘destitute and stillborn babies’, not the victims of the anti Government protests in January, where at least 40 people were reported to have been killed. In Maluku, the grave itself is a pile of sand surrounded by tall grass. Behind a cemetery lies a large freshly turned patch of dirt. No crosses or headstone were first evident, a mass grave that could have passed unnoticed, had there not been so many testimonies from people supporting the discovery. Moreover, in the vicinity, there are many who say they witnessed around 4 am on March 19th, trucks covered with plastic sheeting. People who had started to unload the trucks told them that it was dead to be buried and asked those passing by to move away because of the strong smell of decaying bodies. 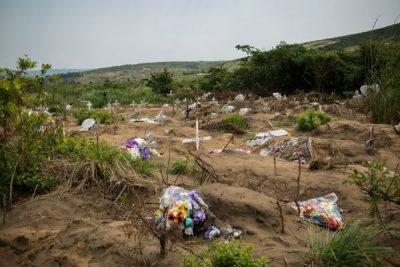 The Congolese Ministry of the Interior authorities, summoned to explain the 424 bodies buried, confirmed that these were over 300 stillbirths, in addition to indigent and unclaimed bodies. To residents of Maluku however, this version of events does not convince: “Why bury in the night between 2 and 4 am? And besides seeing the bodies, I do not think it’s babies or miscarriages” one resident questioned. Congolese authorities have opened two investigations: one military and one civilian. On Monday, military judges visited the site to interview people where a team of forensic scientists were also on hand. The public are concerned that those killed during the opposition protests in January, some families of whom have still to recover the bodies, are in the Maluku mass grave. The Interior Ministry however denies, but doubts persist in the population and human rights organisations. In this respect, Human Rights Watch called for an independent and credible investigation. 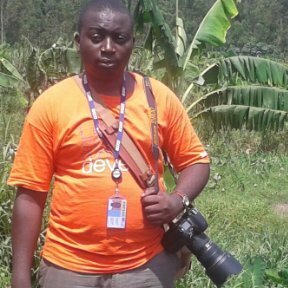 The Congolese authorities must now decide whether or not they will exhume the body to shed light on this disturbing mass grave. On behalf of the government, Deputy Prime Minister for the Interior, Evariste Boshab has already committed to authorise the exhumation of the bodies for purposes of the investigation should anyone question or doubt the circumstances of the burial.